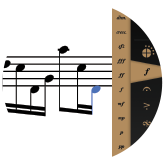 Komp allows users of all skill levels to create music notation, quickly and seamlessly, on the go. Got a melody in your head? Need to sketch it out? 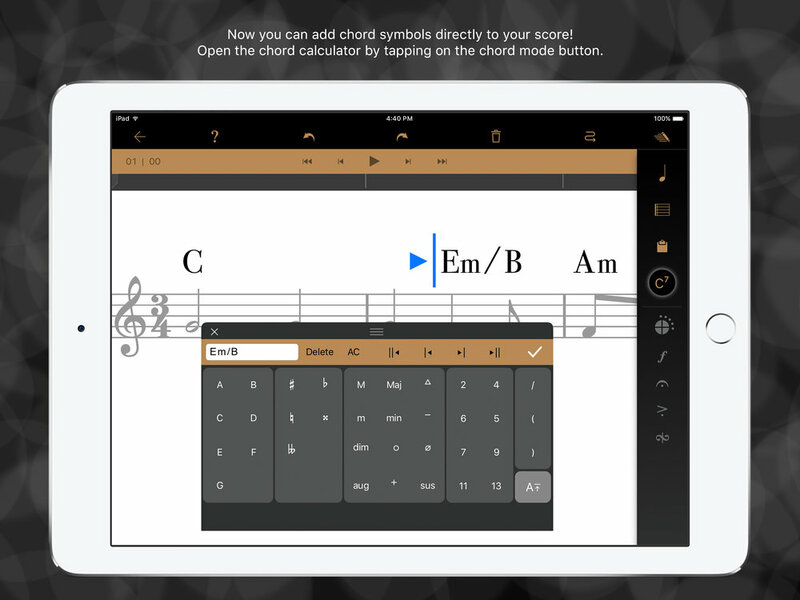 Now you can quickly notate your ideas as soon as they come to you. Sophisticated music creation and editing, made easy. Komp seamlessly converts your handwritten sketch on the screen to typeset notes as you write. Use your fingers or upgrade to a stylus for greater control. We’ve optimized Komp especially for the Apple Pencil. Import or save as an XML file so that you can edit within your favorite desktop notation program. Playback mode allows you to hear your masterpiece. Choose from a large selection of beautiful instrument presets. Writing and editing notation is complex, but Komp hides the complexity and allows you to focus only on the task at hand. Komp can only get better. More & more features are on the horizon. Check out our feature roadmap here! Gene has made a career building tools that make it easier for artists and musicians to create. Along the way he has helped artists create animated films at DreamWorks Animation, built user interfaces and video editors at Apple Computer and music notation and audio sequencing software at Passport Designs. Raised on a steady diet of brass instruments, Gene now mostly plays guitars and dreams of owning his own Fairlight CMI. Matthew, a lifelong user of music notation software, has been composing music since high-school. He received his bachelor’s degree in music composition from Indiana University Jacobs School of Music. He has bootstrapped his software engineering education with the goal of developing his own algorithmic composition software. He is delighted to be working on Komp, the perfect coalescence of these two creative tracks. Lindsey is a professional harpist who holds her Bachelor of Music in Harp Performance from Colorado State University. After college, Lindsey relocated to Seattle, Washington and became a project coordinator for an engineering team. In late 2015, Lindsey decided to try a new adventure: learning to code. After completing an iOS Development Bootcamp, Lindsey was hired by Semitone. The unique challenge of creating music through code has been one of Lindsey’s greatest adventures. Emily has been designing applications since the app store began. Straight out of college she began working for Zumobi, where the fast-paced mobile industry teamed with a small start-up, gave her vast experience and a broad skillset. Emily has never been one to shy away from a challenge, Whether it be pole vaulting in college, mothering her two young children, or diving head first into the beautifully complicated world of music. Heather Elsa is a lifelong violinist and artist. She has performed with the Seattle Philharmonic, Olympia Chamber Orchestra, and Olympia Symphony. Heather has played with many bands, including Tennis Pro, Siren and The Makers. Heather is a graphic artist and UX Design Director who has worked for the Seattle Times, Zumobi, and Getty Images. In 1993, Heather worked at Sunhawk Digital Sheet Music, where she notated sheet music for many companies including Warner Bros. Supporting our friends who join us in bringing music to the masses.